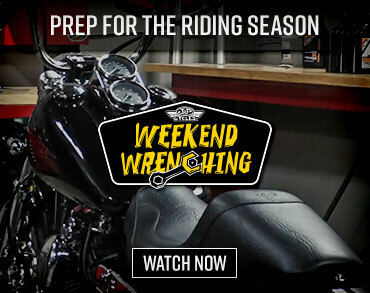 The Iron 883 flexes its muscles against the new kid on the block, the 2014 Star Bolt, and its long-time rival, the Triumph Bonneville, in our 2013 Sportster Iron 883 Comparison video. It comes as no surprise that the 2013 Iron 883 Sportster is a sharp-looking bike. It’s hard to beat Harley’s paint, The Motor Company going the extra mile by hand-finishing the tank. The machined wheels stand out as the best of the bunch, and on the whole everything is tightly packaged. What better way to make the bike’s Candy Orange paint pop than to set it against a black canvas, from the powder-coating of the 883 engine and its rocker covers to the frame and handlebars. Character is one thing that’s never in short supply on a Harley. That character extends to the Harley’s rubber-mounted 883 Evolution engine. Fire up the Sportster and it’s the old familiar Harley sound and sensation. The “Blockhead” engine, in one variation or another, has been around since 1984 after all. But it’s also amongst the Sportster’s strengths and weaknesses, as that rattle and roll translates to plenty of vibrations at idle. 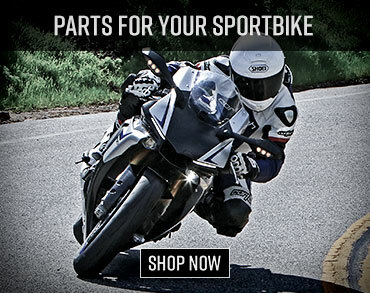 Get it up to speed in the high rpm range and a hard vibration transfers to the footpegs. Getting onto the freeway running in fourth gear at 70mph it felt like my foot was going to slide off the peg. It renders the mirrors almost useless too because everything becomes a blur. Harley’s hand-finished tank with the Candy Orange paint pops against the black canvas provided by the bike’s powder-coated engine, rocker covers, frame and handlebars. When we headed to the hills and got the Sportser up to speed, it initially tracks well and is capable of holding a line, but the more spirited the pace became, its shortcomings in this test became more evident too. Fire up the Sportster and you’re greeted with the old familiar Harley sound and sensation as the “Blockhead” engine, in one variation or another, has been around since 1984. Wring out the Iron 883’s throttle and be rewarded with a healthy shot of torque. The Harley powerplant makes most of its power between 3200 – 4200 rpm and impresses with the way it can pull up from a very low rpm without lugging. On the other end of the spectrum, in a wide-open fifth gear roll-on we found a nice top end surge. For scooting around town, there’s more than ample power. And while a peek at the dyno chart confirms its power delivery is fairly linear, it also has the shortest powerband of the three. First gear taps out at approximately 42mph and often we found ourselves short-shifting to maximize its power. Off the line it couldn’t launch with the authority of the other two, in part because its clutch engages so late in the lever release that by the time it does, the other two are hooking up and moving out. Compared to the peppy Bonneville, it felt particularly sluggish. The fact that it’s the heaviest bike of the bunch doesn’t help much either. We were surprised to find the Sportster is the heaviest in this test because its slender profile makes it seem smaller and more nimble at slow speed maneuvers than the Bolt. This is due in part to its compact wheelbase, at 59.8-inches it’s two inches smaller than the Star, and a low-slung seat set at a laden 25.7-inches. Harley also lowered the suspension front and back, so the Iron 883 sports the lowest center of gravity of the three. This benefits low-speed handling and makes parking lot maneuvers a cinch. It also allows riders to cut the bike in tight for easy U-turn action. When we headed to the hills and got it up to speed, the Sportster initially tracks well and is capable of holding a line, but the more spirited the pace became, its shortcomings became more evident. The front fork is softly sprung and doesn’t have much travel so it sacrifices stability at speed in the turns. Like the Bolt, its lean angle terminates quickly, and the footpeg feelers touch down early and often. If there’s any type of lip in the road like the ones at the entrance to just about every parking lot, the fork bottoms out harshly with a 220-pound rider onboard. One area unaffected by the undersprung fork was bringing the bike to a stop as the Iron 883 didn’t demonstrate an overabundance of fork dive under heavy braking. Conducting our acceleration tests out at Chuckwalla allowed us free rein to mash some brakes and overall braking pressure when you’re on both front and rear is very even. 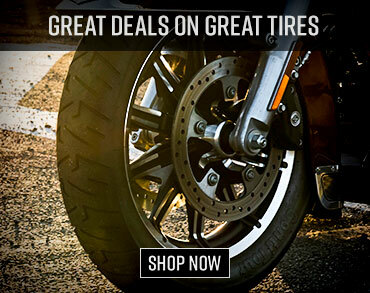 The Sportster’s Michelin Scorcher tires grab asphalt well while the back tire doesn’t lock up and fishtail like the rear unit of the Bolt did. And while the rear single-piston caliper on the rear disc provided solid feel, the same couldn’t be same for the twin-pot arrangement on the front. “The Sporster’s weight manifests most, perhaps, during braking, where its single-disc front rotor felt the least potent. The lever felt wooden compared to the pinchy feel from the Bonneville and the stouter Bolt,” said Motorcycle USA’s Managing Editor, Bart Madson. If there’s one thing that’s as characteristic as the lumping cadence of the Harley engine and the signature note emanating from its exhaust, it’s The Motor Company’s transmission. It’s common knowledge that the fast spinning gears engage with an audible thunk thanks to gearing ratios set to deliver the immediately accessible torque that is also Harley’s signature. But the five-speed gearbox on the Iron 883 delivers solid, sure shifts and deserves credit for reliability. As mentioned, its gearing isn’t as wide as the other two, so riders are running through those gears more so than the other bikes in the test. Fortunately, missed shifts aren’t an issue. We had more issue with the way first gear doesn’t engage until the end of the release of the clutch lever that allowed the other bikes to get the drop on the Sportster. One thing we did like about the Iron 883 is the way you can snug up to the slender-profiled bike. Its airbox doesn’t jut out like the Bolt and its cylinder heads aren’t as bulky either. With a seat that drops riders in to the bike, mid-mount controls that tuck your legs in, and drag-style bars within easiest reach of the three, the rider’s triangle on the Iron 883 allows for an intimate connection with the motorcycle. It’s by the far the easiest to get feet flat on the ground at full-stops and has an ideal set-up for riders of smaller stature. My 5’6” wife, who is a rider, sat on it and said the layout was perfect for her. But for me at six-foot-tall and for Madson who is even taller, the rider’s triangle crunches us up a bit because it is so compact. Though the 2013 Iron 883 doesn’t match up to the other bikes in engine performance and handling, the crew from Milwaukee built it like a tank. The seams between the neck and downtubes are clean, the frame is sturdy, and there’s a reason Sportster’s last for years. “The Sportster definitely hits with fit and finish. Instrumentation, levers, everything feels more solid and refined than the other two rides. The steel tank on the Harley feels firm and the whole bike may shake, but it doesn’t feel like it’s going to fall apart. The Bolt and Triumph tanks feel flimsy by comparison and the controls cheap,” Madson said. Harley’s Sportster is the original that everyone tries to emulate. Because of its price point and purpose as a gateway bike, it is a very important model for The Motor Company. At $7999, it costs $300 more than the Bonneville, a couple hundred less than the Bolt R-Spec we tested, but is priced the same as the standard Bolt. And while its timeless styling sets the bar, the bike fell short in the all-important performance categories and it felt dated which relegated the 2013 Iron 883 to third-place in our Urban Cruiser Shootout.